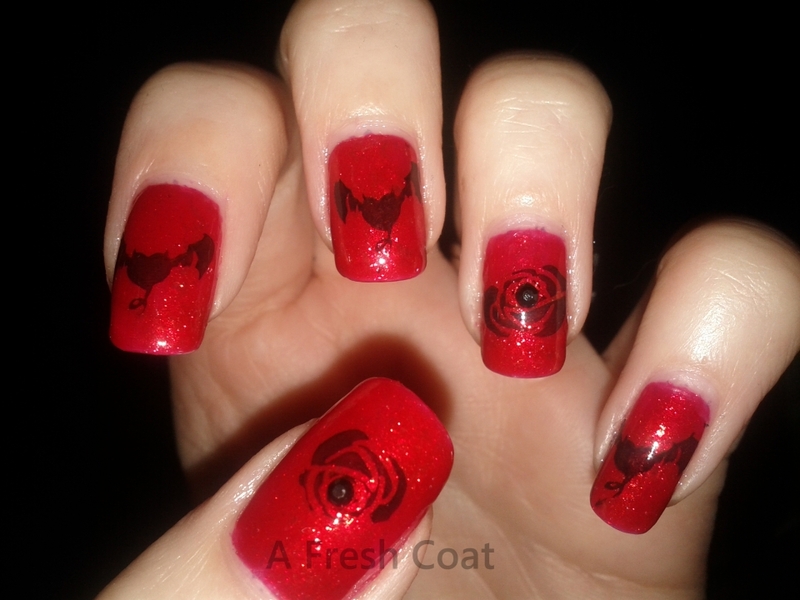 After doing this, I immediately thought that I should have just done all my nails in the black roses. I couldn’t resist the devil heart design when looking through my image plates….hahaha. 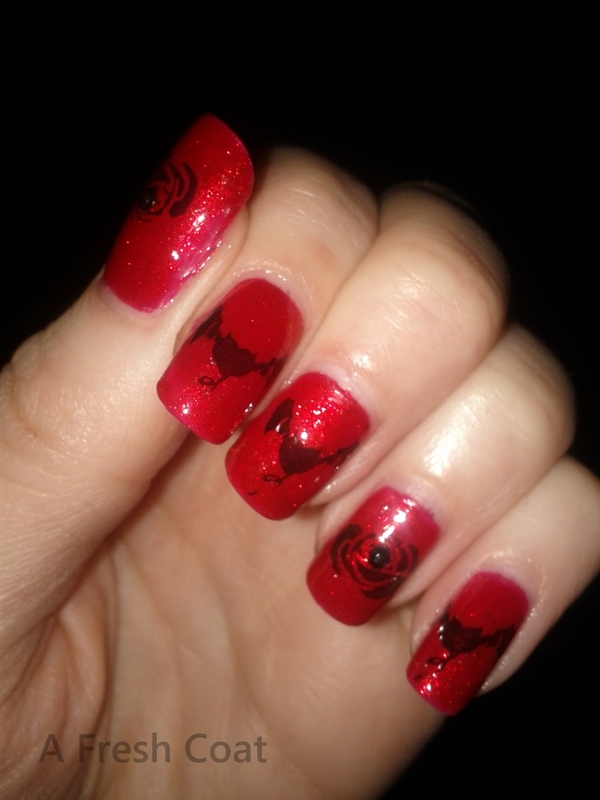 Well next time I’ll do roses on all of my nails. I love the little touch with the rhinestone in the middle!